Detroit Metropolitan Wayne County - Lynden Pindling Intl. Turquoise water laps at your ankles, and you turn your face toward the sun to let it kiss your forehead. As your face soaks up the vitamin D and the warm spreads to your shoulders, arms and the top of your feet, you realize: This is bliss. You’re not imagining it, no. You haven’t gotten lost in a daydream and wandered into a travel magazine. You’ve landed in the capital of the Bahamas, a city rich in culture and natural beauty bound to steal your heart. Welcome to Nassau. You’ve packed your swim fins and sunscreen already. 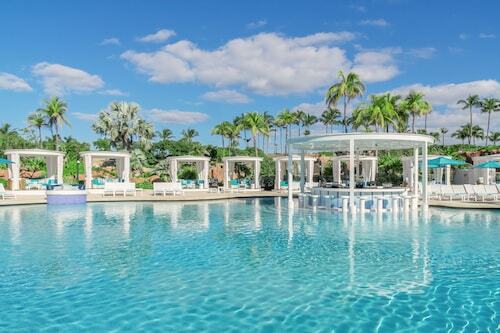 Yes, you’re ready to embark on an island getaway. Before you know it, you’ll be gliding your way through the water like a clown fish on a mission. 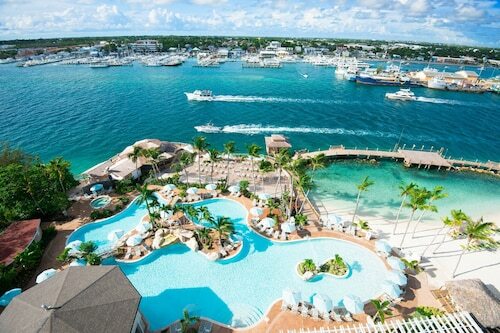 Your vacation in Nassau begins by booking your flight and hotel with Travelocity, wise wanderer. Before you know it you’ll have salt in your hair and a drink in your hand, but first you need to reserve a package deal. 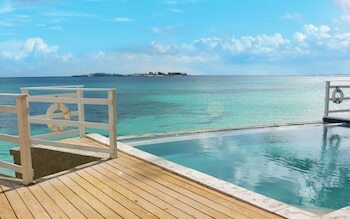 Meliá Nassau Beach - All Inclusive: Overlooking bone-white sand and gentle waves, the Melia Nassau Beach is a world-class resort. Fall asleep to the sound of the water and wake up to views of the Atlantic Ocean. 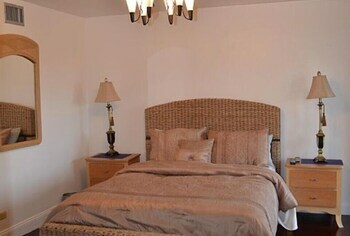 The resort also has spacious suites, three outdoor pools, and kayaks. Sandyport Beach Resort: Sleep your morning away on a hammock along the beach, counting the boats that go by. 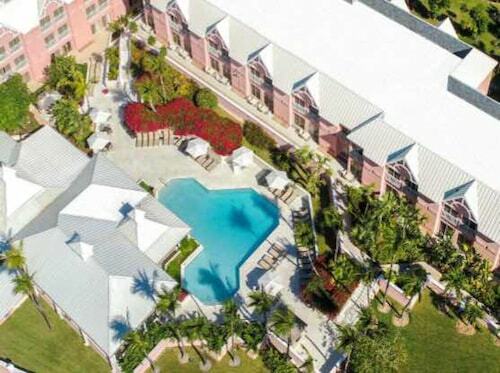 This resort has candy-colored buildings right on the coast and it’s near Cable Beach. 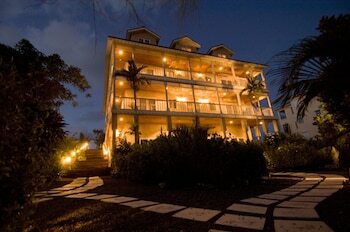 Orange Hill Beach Inn: Enjoy a private respite on New Providence Island. Sleep in late, get a cocktail at the bar, and walk the beach. The hotel is happy to arrange lifechanging scuba diving excursions. Graycliff Hotel And Restaurant: This hotel is in the heart of the city, and while it’s close to the beach, it also feels like a remote oasis. 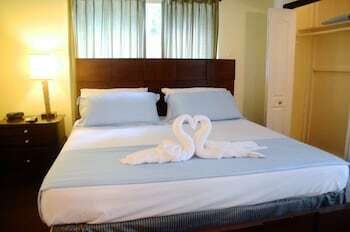 Lay by the pool and enjoy your time in the colonial home turned hotel. Your Nassau vacation package has you excited to spend your days on island time, and there are plenty of ways fill your leisurely hours. Begin your morning with a trek up the Queen’s Staircase to Fort Fincastle. This 18th-century fort once housed a battery of cannons and a howitzer; today, it provides insight into history. When you’re done scanning for pirates, tour the John Watling Distillery and taste the homemade rum. It’s about time to head to the coast, so stake your patch of sand on Blue Lagoon Island or bring a snorkel mask to Cabbage Beach see what lies just off shore. When hunger strikes, local delicacies like conch, cassava bread, and rock iguana are waiting to delight your taste buds. Your beach vacation in Nassau wouldn’t be complete if you didn’t rub elbows with a few locals and celebrate island traditions. 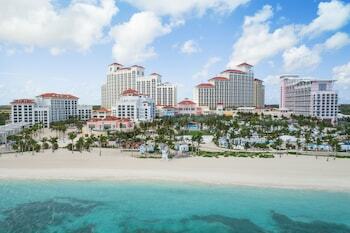 Up for some true Bahamian culture? Welcome to Junkanoo Festival. Held three times a year—on Boxing Day, New Year’s Day, and in July—it’s a party that extends to the entire Bahamas nation. Enjoy a parade featuring people dressed in traditional attire and dancing to choreographed beats of goatskin drums and cowbells. In October, the Wine and Art Festival awaits; admire the work of local artists as you sip on fermented finds in the Bahamian National Park. Your next trip to Nassau awaits, wise wanderer. And with it, the relaxation and solitude of time on the water. Book one of the top Travelocity Nassau package deals today, and you’ll be able to hear the waves crashing already. Located in Nassau, this beachfront resort is next to a golf course and within 3 mi (5 km) of Cable Beach, Saunders Beach, and Lake Cunningham. Junkanoo Beach and Nassau Botanical Gardens are also within 6 mi (10 km). 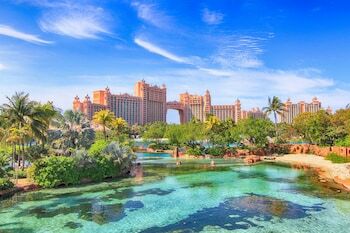 These spire-topped towers contain 1,201 rooms and embody the Lost Continent theme offered by the water-park and marine-life Atlantis resort on Paradise Island, which connects by bridge to Nassau. 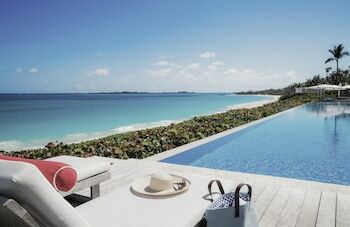 Perched above 2 gorgeous white-sand beaches, this all-suite luxury resort stands amid lush landscaping, shimmering waterfalls, freshwater pools, and an enclave within the wonders of the Atlantis Resort. 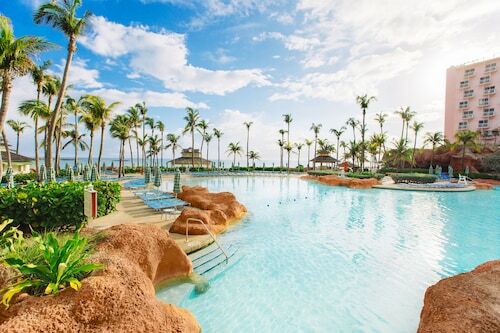 Part of the water-park and marine-life at The Beach at Atlantis, Autograph Collection, connects by bridge to Nassau. 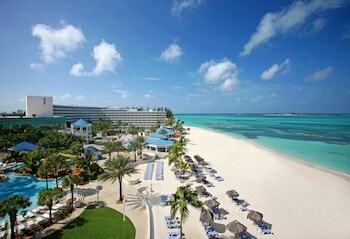 This 487-room hotel resort at the tranquil east end of the resort lies close to 5 miles of beach. 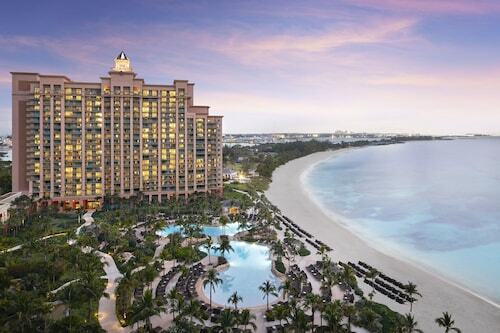 Atlantis resort on Paradise Island, which connects by bridge to Nassau, features 5 hotels located on a 5-mile beach, surrounded by marine-life attractions and a water-sports lagoon. Nestled alongside Nassau Harbour, this adults-only Paradise Island Harbour resort is within 1 mile (2 km) of the Atlantis Casino and Cabbage Beach. Stingray City and Fort Fincastle are also within 3 miles (5 km). This casual, all-junior suite property provides guests access to Atlantis and full use of their resort facilities just one block away, and two golf courses are a mile away. 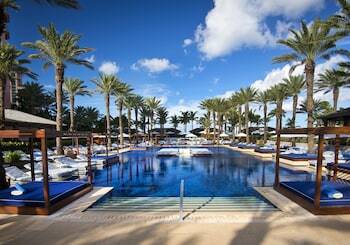 The Reef at Atlantis, Autograph Collection, located directly on a white-sand beach, is close to numerous attractions including Atlantis Aquarium, Cabbage Beach, and Aquaventure. Fort Fincastle and Prince George Wharf are nearby.